David Fincher’s ‘Gone Girl’, based on the novel by Gillian Flynn, starts off with a day of a couple’s fifth wedding anniversary when a husband, Nick (Ben Affleck) discovers the missing of his beautiful wife, Amy (Rosamund Pike). As the investigation gets underway, Nick begins to admit more surprising facts about his marriage/private life to the point where his self-incrimination becomes inevitable. One of the most brilliant things about ‘Gone Girl’ is that it is a very entertaining and sarcastically funny movie, with Fincher’s direction being smooth and controlled throughout. Another amazing thing is Rosamund Pike’s brilliant, versatile performance, for which she was nominated for an Academy Award. Although Pike showed off her excellent portrayals of genuinely sweet and caring women in ‘An Education’ (2009) and ‘Pride & Prejudice’ (2005), here, the actress takes her acting skills to a completely new level. 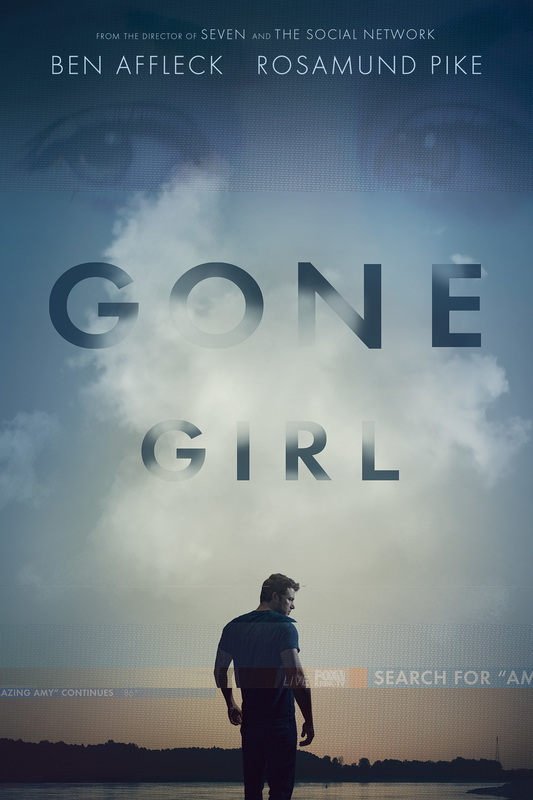 In ‘Gone Girl’, Pike jumps from portraying a sweet, devoted wife to displaying a cunning woman, whose mental and emotional conditions lead her to commit actions of unexpected cruelty. One of the downsides of the film is that, after an initial mild shock regarding the main twist is over, one can say that, in fact, the plot is neither too clever nor too original, all things considered. The impressions would be gone as fast as they arrived. The premise of ‘Gone Girl’ would have appeared new and extremely fascinating about 20 years ago, but, after we had already seen the likes of such movies as ‘Side Effects’ (2013) and ‘Malice’ (1993), where the ‘victim-turned-criminal’ twist theme has been well explored, ‘Gone Girl’’s premise can only elicit mild surprise and indifference in the end. ‘Gone Girl’ also lacks Fincher’s usual truly unsettling, deliciously macabre atmosphere so masterfully displayed in ‘Se7en’ (1995) and ‘Fight Club’ (1999). The reason is two-fold: (i) although ‘Gone Girl’’s first part watches like a spooky mystery thriller, the movie’s plot line after the twist is too ridiculous to contemplate seriously, and because the movie cannot maintain its seriousness (there is lots of humour), it is watched as though it was a caricature of something more gruesome and realistic; (ii) none of the characters in ‘Gone Girl’ invite sympathy from the audience to build sufficient drama. ‘Gone Girl’ does not know what it is and it does not care, but the bottom line is: neither does the audience. Also, it is actually great that Pike’s performance is so flawless in the movie, because Affleck does not show anything extraordinary in ‘Gone Girl’, seemingly unwilling to get out of his usual “ordinary-laid-back guy” comfort zone. Yes, I agree that 20 years ago this film would have been THE talked-about movie for months and months. As it was, it’s an interesting film – well acted and beautifully shot – but not as innovative as the hype suggested.